Conquest of the Cage 11 takes place on April 19th at Northern Quest Casino in Airway Heights, Washington and features a 140-pound catchweight bout between Sarah “Cheesecake” Moras and hometown favorite Julianna “The Venezuelan Vixen” Peña. After winning her first two amateur bouts, Moras (1-0) moved to England in 2009 and trained under the tutelage of Rosi “The Surgeon” Sexton. She had her first “semi-pro” bout in March 2010 and submitted Clarissa Thompson via a second round armbar. Her professional debut would come two months later where she defeated Helena Martin via TKO in the second round. Moras has since returned home to Canada and now returns to competition for the first time in nearly two years. 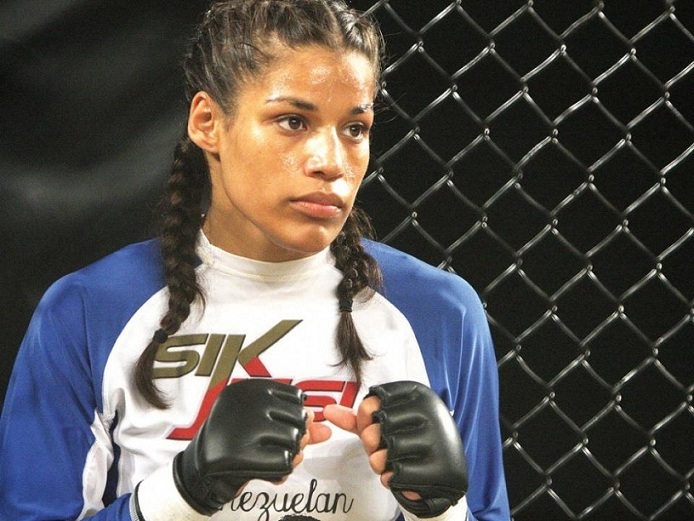 Peña (3-0) began her pro career in 2009 with a pair of victories, defeating Robyn Dunne via a first round TKO and Stephanie Webber via a second round armbar. A serious knee injury would keep her out of action for the next two years. She would return in December 2011 and defeat Rachael Swatez via a guillotine choke early in the second round. She was then set to face Lauren Taylor in February, however due to injuries sustained when she was struck by a drunk driver, she was forced to withdraw from the bout. Peña just recently resumed her training and will face a solid test in Moras.